A brand new custom adventure-mode map built for the latest Minecraft 1.8+ (currently snapshot versions), designed particularly for 1 or 2 players. Uncover what has happened to time itself, help the villagers of the clock tower, complete multiple side-quests while following the main storyline, go on a huge adventure and see amazing sights, solve puzzles, and ultimately become a saviour ? or a destroyer ? of the people. 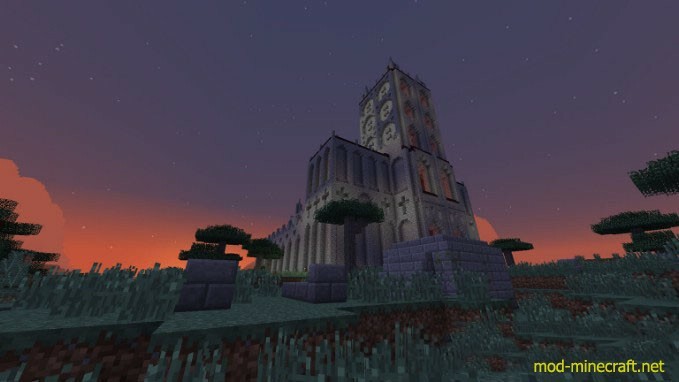 Requires Minecraft 1.8+ (Snapshot 14w10c or above). Will NOT work in Minecraft 1.7.5 or earlier! Designed particularly for 1-2 players, but will support small groups! Requires command blocks enabled for servers. Must play in peaceful mode. Must stay in adventure mode (NOT survival or creative!). When you first start the map, have a walk around the spawn room and read some of the signs. 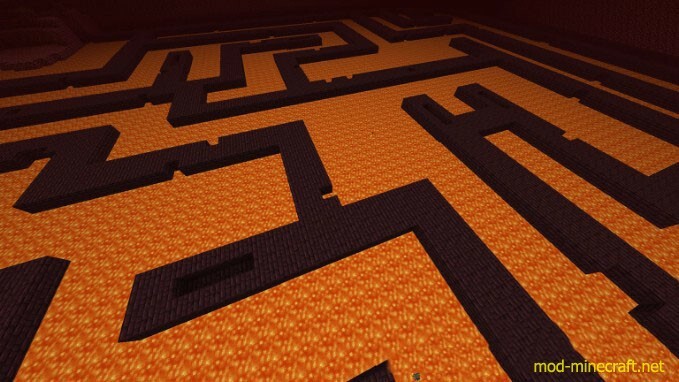 Once you step on the pressure pad to start the map, a series of command blocks will set up most of the gamerules for you (eg put you in adventure mode, set map to peaceful mode etc.) ? please don’t alter any of these settings afterwards, it will cause problems! Please read the books in the starter cave once you start the adventure, they are VERY short. Also take and keep the ?Token List? book with you ? this will be an invaluable tool in finding the hidden tokens found throughout the map! If the starting pressure pad or button in the starter room do nothing, then you are NOT running the latest un-modded vanilla Minecraft. You must ?Edit Profile? in the Minecraft launcher, and choose ?Enable Experimental Development Versions (Snapshots)?, and select ?Use Latest Version? (or ?14w08a? for a pretty stable earlier snapshot). 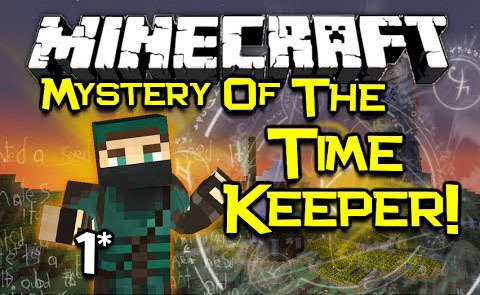 Mystery of the Time Keeper requires the latest Minecraft 1.8+ (Snapshot 14w10c or above). 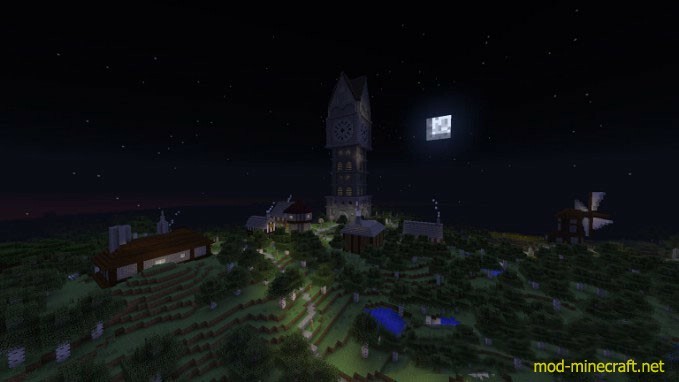 The map will NOT work with Minecraft 1.7 or earlier. If running on a multiplayer server, you must enable command-blocks, and use the latest 1.8+ vanilla snapshot server files. If you cannot load the map/it isn’t listed, check you didn’t double up the folders when unzipping, eg it should be ?/saves/TimeKeeper/level.dat? not ?/saves/level.dat? or ?/saves/TimeKeeper/TimeKeeper/level.dat? Mac Singleplayer: The same instructions as above, but you must find and navigate to ?Finder/Application Support/minecraft/saves?, and unzip the map file into a new folder into this location. 1) Download the .zip file onto your desktop (or anywhere you can find it again). 2) Press your Windows Key + R (letter R together with the windows key in the bottom left of your keyboard), and type in ?%appdata%? (with the percentage symbols). 3) Enter the ?.minecraft? folder, and then navigate into the ?Saves? folder. 4) You should now be in a folder similar to: ?C:UsersYour UsernameAppDataRoaming.minecraftsaves? 5) Unzip the Time Keeper map zip file you downloaded earlier into a folder called ?TimeKeeper?, and place this folder into the this ?saves? folder. 6) You will now be able to select the map in Singleplayer mode, and can open up to Lan play from there if you like! 2) Go into your minecraft server directory. 3) Unzip the Time Keeper map zip file you downloaded earlier into a folder called ?TimeKeeper? (for example), and place this folder into your server folder. 4) Alter your ?server.properties? file and set the ?level-name=? setting to match the map folder name (?TimeKeeper?) or whatever folder name you use. Alternatively, simply name the folder ?world? and leave this setting blank in server.properties. 5) Launch your server and connect! Removed random junk from many chests that people were stockpiling. Modified a number of signs/instructions to avoid some confusion throughout. Modified a couple of Tokens of Solving to make them (slightly) easier to find. Wizard moved closer to house entrance for added visual effect. Wizard removes the? ?ingredient?? on completion. Removed an erroneous extra Seeking Token from Bill’s wheat field (the token is not in the field, but there *ISa token at Bill’s windmill?). Made Ironbridge parkour easier in a couple of places. Ironbridge parkour only needs 3 not 4 supports now. Added signs to Dockmaster piers to clarify directions. Modified the stairway ?puzzle? after the water-tunnel boating area. Exiting any of the three possible parkour areas throughout the map checks for creative/survival mode and sets you back to adventure mode, as some people forget to go back to adventure, or went back to survival by accident. A few other very minor changes to generally make things easier to find/navigate to.